Have you ever heard of the term “thin-fat syndrome?” Well, Dr. Mark Hayman says, “it means you are under lean but over fat – not enough muscle and too much fat (especially belly fat).” Diabetes does not discriminate. It doesn’t matter if you are skinny or obese, you could be at risk. Type 2 diabetes is growing rampant in the United States and you need to learn about the signs. Type II is called “adult onset diabetes” or “non-insulin dependent diabetes” because it most often affects people over forty years old. See if you’re vulnerable and what to do next. If you notice even one of these symptoms of diabetes, it’s worth bringing it up with your doctor and asking for a blood test (usually the A1C) to check your blood sugar levels. 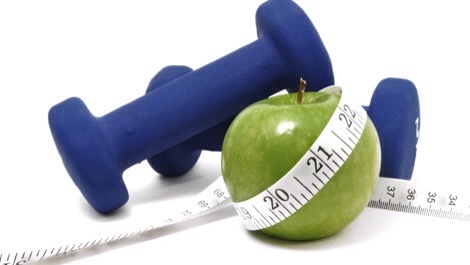 The best approach to avoid or reverse it is exercise and diet, which is key regardless of how much you weigh. Rochelle Naylor, MD, an endocrinologist of Chicago Kovler Diabetes Center recommends cardio and strength training, which can both improve insulin sensitivity. Aiming for 30 minutes a day at five times a week is the minimum requirement. Curbing the processed foods and simple carbohydrates is important. Not to mention, adding more fiber-rich foods and vegetables into your diet will give you the right balance. I’m a huge advocate for a whole-food plant-based diet. Eat clean and get physical!